The legendary beasts, also known as the legendary dogs because they are furry and have four legs. They live in the Johto region, or inhabit it. These Pokemon have several characteristics that make them different from normal Pokemon. Aside form the power they contain or at least have, they look very cool and have backstories. Ho-oh reincarnated three Pokemon who it believes can watch over the world to tell if humans have bonded with Pokemon. It is pretty awesome, I just love ancient legendary Pokemon tales. These three Pokemon are Raikou, the incarnation of thunder, Entei, the incarnation of the volcano, and Suicune, the incarnation of water. Suicune is a water type Pokemon, of course seeing that he is the incarnation of water. He can be found in the Burned Tower in the Johto region. He will be with the other two Pokemon, Raikou and Entei. Once you see these three they will flee and you can find them as a normal wild Pokemon with a special legendary theme song. Suicune stays for a moment, looking at you. Eusine, who researches and wishes to capture Suicune is obsessed with chasing him. Eusine will sometimes battle you to prove to Suicune who is stronger but it never works out, which will Suicune choose to be its trainer? The most bonded trainer with his or her Pokemon of course! In the anime, Suicune is seen in the new Zoroark Master of Illusions movie. He is a shiny Pokemon which gives him an alternate look. Suicune is also seen the the fourth movie, Pokemon 4Ever: Voice of the Forest. Where it is said that Suicune can purify the water. Suicune is proven to be a very powerful Pokemon. I haven’t even explained how Suicune looks yet! He has a blue body, a white face with red eyes. Some white spots on his skin, and a purple main. This makes him look very cool. He also has two ribbon like structures that always blow. These blow along with the rest of his main. What do you think of this water beast, Suicune? He is popular among most fans. The lake trio of Sinnoh are quite remarkable with their powers. 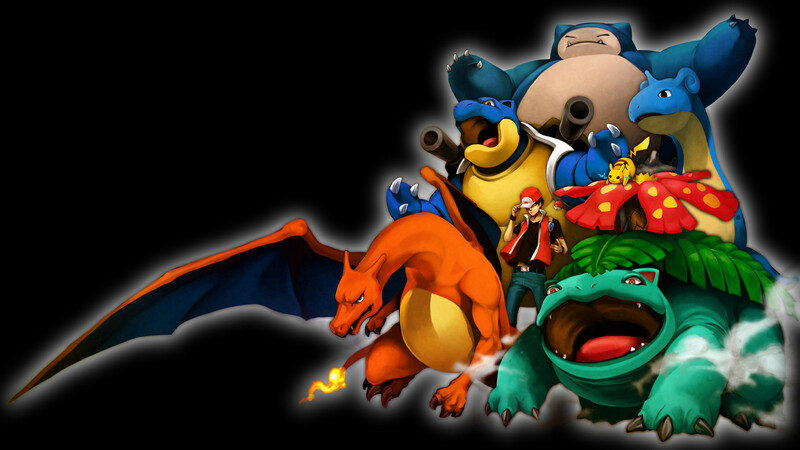 They all represent something tha thints at the creaiton of Sinnoh. The first one is Azelf, Azelf is the being of willpower and a psychic type Pokemon who controls willpower. This is done using its psychic powers to make humans and Pokemon move against their will according to Azelf’s pokedex information, Azelf lives in the cavern of Lake Valor, which is just outside of Pastoria City. In the Sinnoh region there are legendaries, just like other regions. Legendary Pokemon are special Pokemon that usually only one exist of each species. They have ancient powers used in the past to help in peace in the Pokemon World. In the Sinnoh region there is a trio, just like in the other Pokemon regions. This trio is known as the Lake Trio. Just because the three Pokemon in this trio come from lakes. The first, Mesprit is the being of emotion, it has the powers to wipe people’s emotions or to improve them, Mesprit is probably the most famous out of the trio because it lives near your hometown in the Sinnoh region, in Lake Verity. The second is Uxie, which is the being of knowledge, this Pokemon is extremely intelligent and has the power to wipe one’s memory, it lives at Lake Acuity which is located by Snowpoint Temple. The last but not least, is Azelf. Azelf lives in Lake Valor’s cavern which is right outside of Pastoria City. Azelf is the being of willpower, it has the power to control someone’s movements. It can make you start moving against your will, Azelf, in my opinion, has one of the coolest abilities. Azelf is a psychic type Pokemon and does have some power. Azelf has the highest attack stat then both Mesprit and Uxie. The other’s have high special attack but Uxie is a bit defensive. Azelf also has special attack, which is also great. Azelf can be a great physically attacking Pokemon, mainly because you don’t see much physical psychic type Pokemon, especially legendaries. So, today I decided to bail on the VileGar from last week. Losing every game (basically) was pretty poor, and I wasn’t looking forward to more losses. So I switched to my Luxray/Garchomp deck from State Championships, tossed in some Sableye to block the donk, and got set to go. Oh, and Hoolon Mike had graduated this past month, so I gave him a Flareon EX as a graduation present because he’s an awesome person. I got to the site early, helped AJ set up, talked to people, made some trades, and at 11:15, the event started. We had less than 10 Juniors and Seniors, but we had 14 Masters, meaning 4 rounds, top 2. This would end up coming to bite me later on. Pokemon Ex and Lv. X cards were the new versions of ultra rares back in the day. EX cards were a fancy way of showing a very strong and rare cards. You used to be able to use EX cards in decks but not anymore. EX cards were only available in EX sets. Like EX Dragon Frontiers where you can get EX’s like Dragonite, or EX Sandstorm where you can get a Wailord EX. All EX cards have a holographic border and background. An EX card had EX after the name of the card. EX’s weren’t that hard to pull, they are like the ultra rare primes we have today. You can get them in any pack but the ratio of pulling one varied. They aren’t like normal rares you can get in packs they are ultra rares and sometimes can be very expensive depending what and how rare the card is.